Fans have been waiting a long time for a new original Xbox games update and it appears they will be finally getting it tonight. A new Xbox One Backwards Compatibility update is expect to arrive tonight, with Microsoft making a big announcement. This will reportedly include the latest original Xbox games being launched as part of the Backwards Compatibility program. A list of new titles has already leaked online, suggesting that a total of new games will be revealed. These include: Morrowind, Panzer Elite Action (currently only showing in the GB marketplace), Destroy All Humans, Full Spectrum Warrior and MX Unleashed. They’ve all been found on the Xbox Marketplace sporting the original Xbox sticker, suggesting they will be part of tonight’s announcement. This isn’t an official announcement, but it seems pretty likely that these games will be shown off. Microsoft have already confirmed that they will be releasing big news tonight in connection with Backwards Compatibility. This will be available to view on the Inside Xbox program, which premieres on Tuesday, April 10, at 11.30pm UK time. 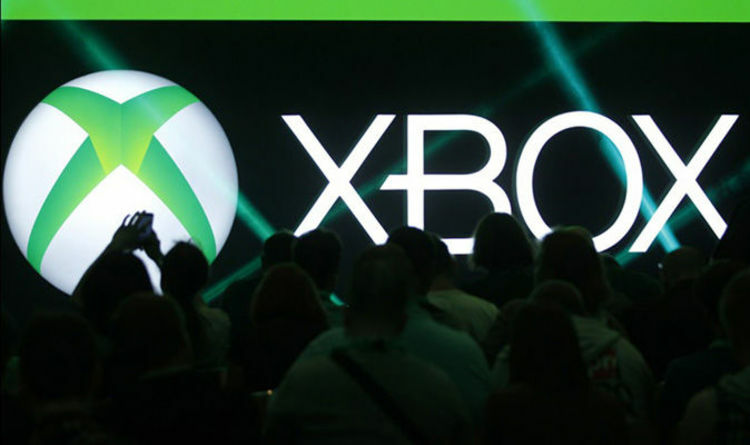 “One of our most common requests is for Original Xbox Backward Compatibility news, and we’ll be starting off the show with a big update on just that,” Microsoft reveals on the Xbox Wire. “Stay tuned next Monday for a full breakdown of the news and content you can expect on Inside Xbox. From what has been posted by Microsoft about the show, more surprises could be revealed during Inside Xbox. There’s always the chance that even more original Xbox games are being primed for launch, and not just the ones that have leaked. For those that don’t know, Inside Xbox is a new Microsoft news broadcast that highlights breaking announcements and provides a peek behind the curtain of Team Xbox. “A glimpse at the mysteries of game design and a celebration of some of the month’s most exciting games and features. You can watch Inside Xbox in all the places you would expect, including Mixer.com/Xbox, YouTube.com/Xbox, Twitch.TV/Xbox, and Facebook.com/Xbox. It was recently revealed that Xbox One users can finally pre-order the classic Duke controller from Hyperkin. Hyperkin’s Duke controller is modelled after the bulky game pad released with the original Xbox. Available from Gamestop in the US and GAME in the UK, the Hyperkin Duke can be pre-ordered for £69.99. The officially licensed controller is compatible with the Xbox One and Windows 10 PCs. The controller comes with precision analogue triggers, a 3.5mm headset jack and a 9ft detachable cable. The black and white buttons return for added authenticity, while the home button features an animated Xbox logo display screen. The Duke controller is the ideal companion for the Xbox One’s list of original Xbox games.